What is the National Electrical Safety Code? The National Electrical Safety Code (NESC) is the US standard for the safe installation, operation, and maintenance of electric power and communication utility systems. It covers how to properly install and utilize power substations and power overhead and underground lines. With that kind of verbose definition, you might think the NESC is some government program–but it’s not. NESC was first published by The National Fire Protection Association (NFPA) just two years after George Westinghouse opened the first major electricity-generating plant ever in 1895. We assume people at the NFPA were like “Whoa, wait a minute. We’re going to start bringing electricity and the shocks and potential fires that come with it into our homes? We better figure out a way to make it safe.” …well, maybe they didn’t phrase it quite like that, but that’s exactly what they did all the same. The National Electrical Safety Code (NESC) establishes minimum requirements for electrical installations based on safety considerations. Following the code is voluntary but most states have adopted it to standardize their enforcement of safe electrical practices. Other states amend or alter the code to fit their specific situations. Some states don’t adopt it at all. If a state, city, or village doesn’t follow the NESC, then they probably have their own minimum requirements for electrical safety. For example, Chicago’s code is particularly strict and demanding. Here are a few things you should know about the NESC, and how it helps keep you safe. …is current. The NFPA publishes a new, updated version every five years. …is repeatedly updated and revised by people who work in the field. Since it’s a consensus standard, there must be agreement on proposed provisions before they’re included. …establishes minimum standards. Failure to conform to NEC requirements and follow standard preferred practices can be used against you in a lawsuit. …is voluntary and mostly used in the US, although electricians in other countries may consult it, as well. What is the NESC for? Electricians use the NESC for establishing residential, commercial, and industrial building wiring safety. Safety is the raison d’être for the code, as well as the reason for its continued use. The NFPA designed it to promote safety and prevent the loss of life or property. Today, builders also adopt and enforce it to avoid lawsuits. The NESC sets the standard for electrical requirements. Before someone becomes a licensed electrician, they spend years as an apprentice studying and practicing NESC requirements. How is the NESC available? The NESC is available as a 1,000 page book. It has also been available in electronic form since 1993. Although experts update the code every five years, some jurisdictions do not immediately adopt the new edition. You can also read the NESC online for free but can’t save, copy, or print it. The NESC contains an introduction, nine chapters, annexes A through J, and an index. The NESC’s introduction explains the purpose, scope, and enforcement of the code. It also contextualizes the general information that is contained within the following nine chapters. The first four chapters cover the definitions and rules for many different electrical installations. These chapters cover circuits and circuit protection, methods and materials for wiring, and regulations for installing various general-purpose equipment. Chapters 5 through 7 deal with special occupancies, special equipment,and special conditions. Basically, these chapters describe how to safely deal with a wide variety of non-standard electrical scenarios. Chapter 8 covers specific, additional requirements for communications systems such as telephones, radios, and televisions. Chapter 9 details conductor, cable, and conduit properties, as well as other fixture specifics. Annexes A-J relate to referenced standards, calculations, examples, additional tables for proper implementation of various code articles (how many wires fit in a conduit, for example) and a model adoption ordinance. The NESC’s index works the same way any other index does. If you’re looking for a specific term covered in the NESC, you can look it up in the index. Various sub committees write and update the NESC. The managing organizations, subcommittees, and committee members are listed in the front of the code book. An interpretation committee issues formal interpretations. The writers outline the process for obtaining a formal interpretation in the front of the code book. The NFPA currently publishes the NESC on a 5-year cycle. They may also handle urgent safety matters that require a quickly change through a Tentative Interim Amendment (TIA) process. The NFPA also publishes a 1,497-page NESC Handbook for each new edition. This handbook contains the entire code as well as additional illustrations, explanations, and helpful cross-references within the code and to earlier versions of the code. The explanations are only for reference and are not enforceable. You’ll probably never need to study the NEC Handbook (unless you want to become a licensed electrician), of course, but it’s good to know there’s a set of minimum standards that people follow to promote safety. All licensed electricians like the experts at EarlyBird must have a extensive knowledge of the NESC. 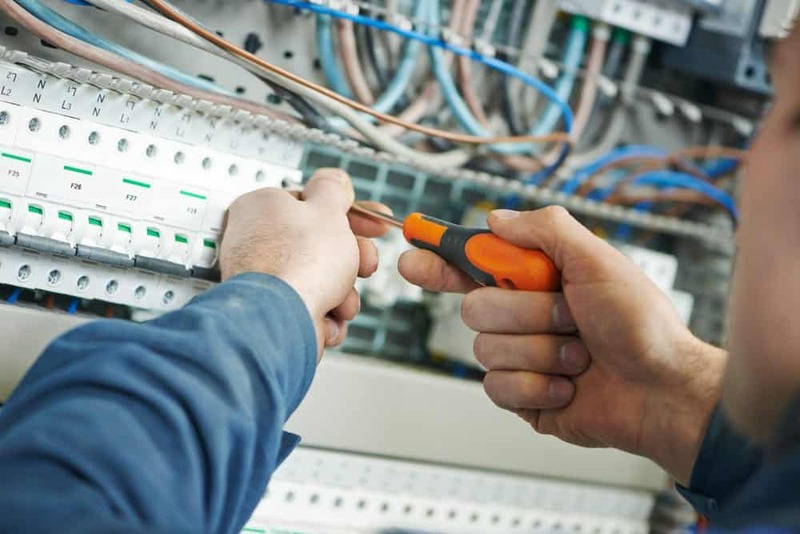 When you call on us for electrical help, you’re getting expert help that puts your safety first. We follow the code to the letter to make sure you’re safe–every time.